Camp in the beautiful Pentewan Valle. Small Adult Only site & dog friendly campsite close to the beach. We cater for Touring Caravans, Motorhomes/Campervans and have spaces for tents. We are a friendly campsite and happy to welcome you and your dog. Vintage campers would love our site. 25 unit touring caravan site with electric hook-up. Open all year around. Situated on a small working farm. Pitches for touring caravans, Pitches for Tents, Pitches for Motorhomes. Franchis has 4 acres of spacious fields for the use of tents, touring caravans and motor homes. 23 pitches for tents only around the perimeter of the back field, most of which back onto woodland. Pitches for touring caravans, Pitches for Tents, Pitches for Motorhomes. Two toilet blocks are open throughout the season, providing 6 showers. Lavender Fields Touring Park is a family run touring park set deep within the Cornish countryside on the outskirts of the two idyllic villages of Carnhell Green & Barripper. Our park consists of 45 pitches of which 21 are hard standing bases. Pitches for touring caravans, Pitches for Motorhomes. Wheal Rodney Campsite Nr. Penzance, Cornwall. Nestling in the countryside, surrounded by farmland, yet only a half mile walk from the beautiful seaside town of Marazion, and the world renowned St Michael's Mount. Cornwall dog friendly campsite, a small quiet site offering pitches for caravans and tourers, as well as tents. 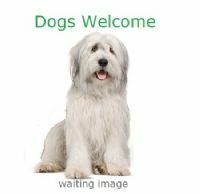 There are several dog walks available directly from the site. Pitches for touring caravans, Pitches for Tents, Pitches for Motorhomes. Rural farm campsite. Safe, campsite with full KC, competition standard agility kit. mowed dog exercise fields & great walks from the campsite! Well behaved dogs welcome! Pitches for Tents. Available for Hire Shepherds Huts, Tipi, and Bell Tents. A quiet park in 12 acres,newly refurbished showers/toilets 25 holiday statics for hire. 2 miles from sandy beach. Site offering spacious pitches, we welcome touring caravans, motorhomes & tents. Dogs welcome!